Excellent insert pocked design, high drilling precision and low vibration during operation. More higher feeding operation. High torsional resistance and new finishing strong body can sustain. Dual-helical coolant hole can make great drilling results. 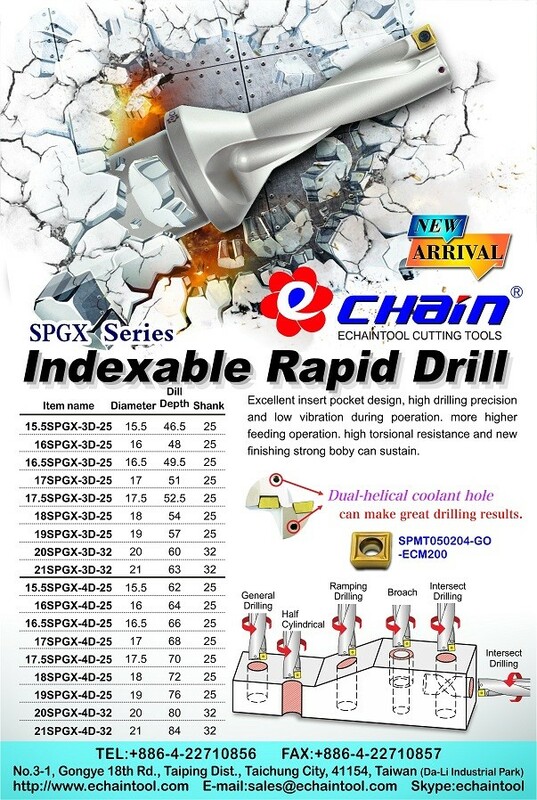 Insert of SPGX drill is SPMT050204-GO-ECM200. Applied to General drilling, Half cylindrical, Ramping Drilling, Broach and Intersect drilling. These tools are made in Taiwan including the screw and wrench. To meet your cutting terms, if you have any opinions or questions, please contact us.